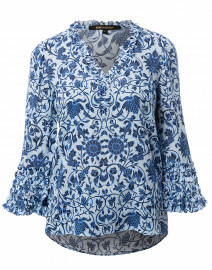 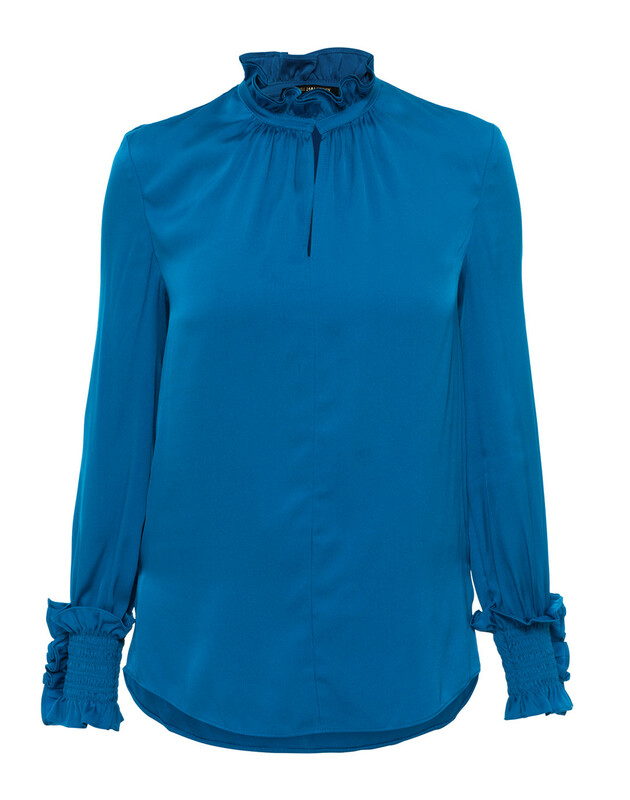 Add some Victorian charm to your wardrobe with Kobi Halperin's stunning and romantic Lexi long sleeve blouse. 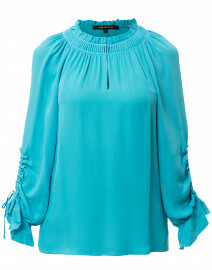 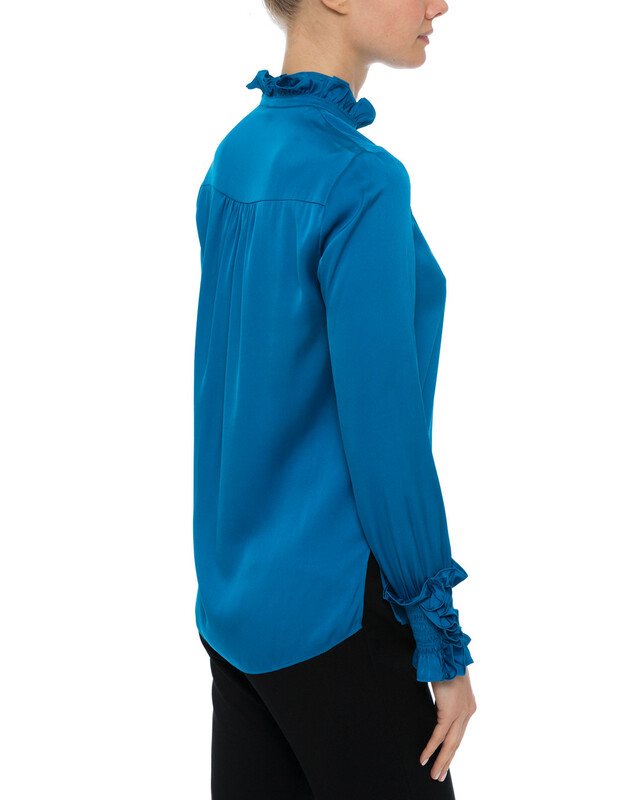 Complete with a high neck ruffle collar and complimenting smocked ruffle sleeves, this silk top is luxurious and classic. 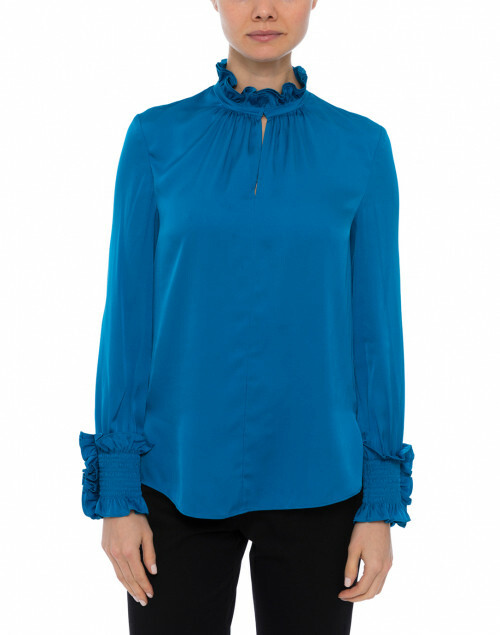 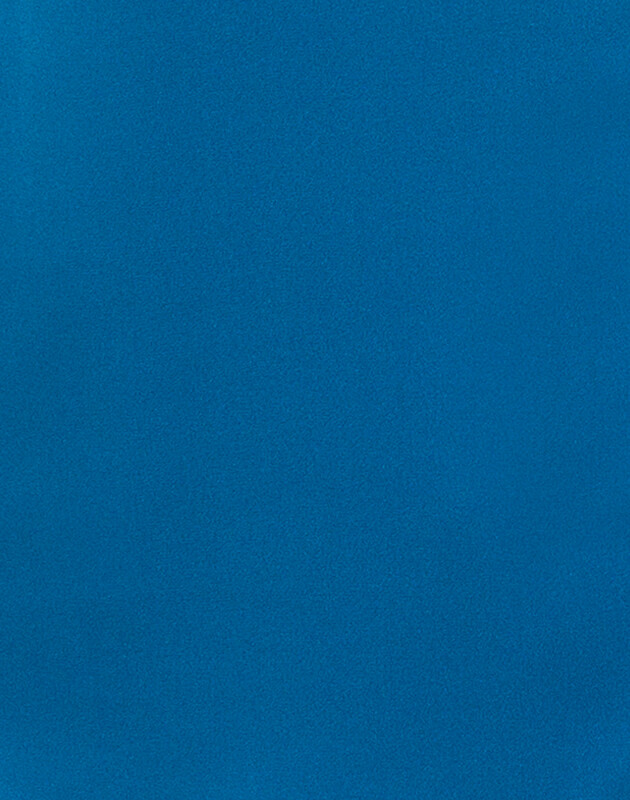 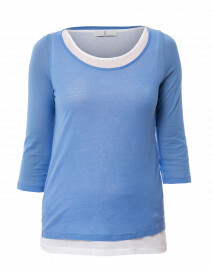 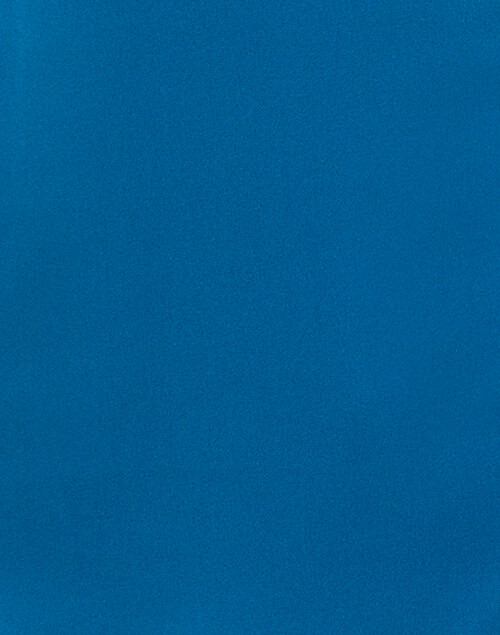 The rich tide blue color of this blouse pairs perfectly with a sharp black pant and a metallic clutch.